​Whether or not you are a weaver, know a weaver, or are interested in learning more about weaving, Whatcom Weavers Guild is a friendly group which welcomes individuals of all skill levels and knowledge in any area of fiber arts. Guild members are fiber enthusiasts who look to share their passion and knowledge of weaving with the community. 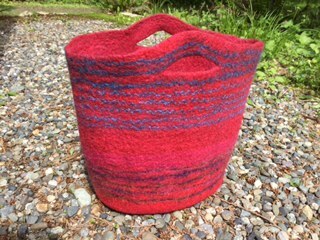 Whatcom Weavers Guild membership is open to anyone interested in fiber arts and new memberships are accepted at any time. Interested individuals are encouraged to attend a Guild meeting as a visitor to meet fellow fiber artists and enjoy our popular and informative program presentations. The Guild actively meets from September to July with annual membership dues being paid in January. To print, download the WWG brochure HERE. Who Can Apply? Any WWG member in good standing. What kind of class or event qualifies? Anything fiber related. Is selection based on financial need? No. Is there a limit on how many times a member can apply for scholarship? No. However, if a member receives a scholarship he/she must wait 3 years before applying again. What is the maximum dollar limit for a single scholarship? $200 maximum. What is the process for applying? There will be a two-page form. Page one will consist of name, address, phone number and e-mail. Page two will be the proposal itself, including how the recipient plans to share his/her experience with the guild. The workshop chair will give each application a number and mark both pages with the same number. The chair will retain the cover page and forward the proposal page to the review committee. After a decision is reached the committee will notify the workshop chair and the chair will notify both WWG board and the recipient. How are the scholarships funded? 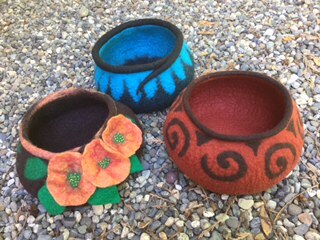 The guild will use basket drawings, donations, the stash sale and other funding methods to be determined. How is the scholarship review committee chosen? The Guild President will choose 5 non-board members anonymously. Their terms will run for 2 years. Three members will be chosen from the group each time applications are reviewed. The workshop chair will be a liaison between the board and the review committee. Click here to download and print a copy of the application.